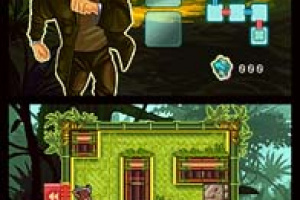 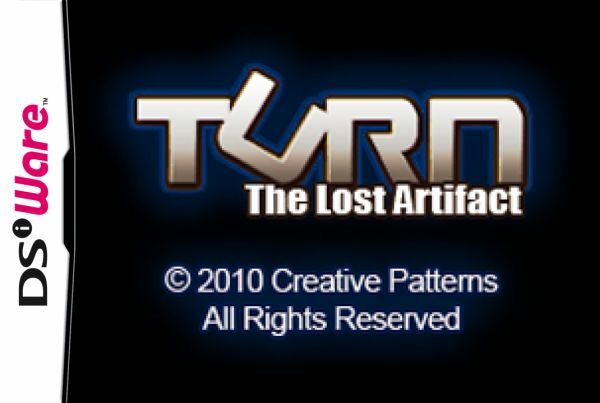 TURN: The Lost Artifact is an adventure puzzler with fun, intuitive game play. 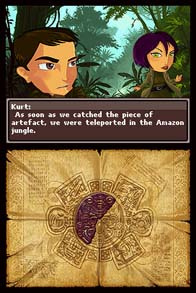 Kurt and Camila are explorers on a mysterious journey to find a lost artifact. 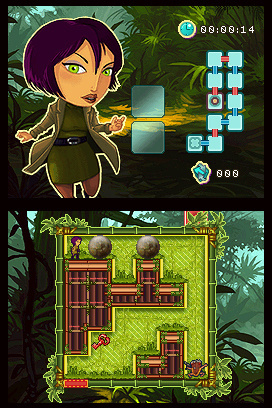 You guide them through rooms filled with various dangers, from enemies to rolling boulders. 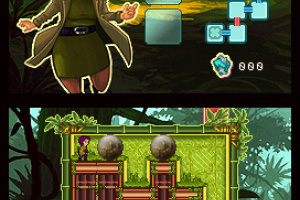 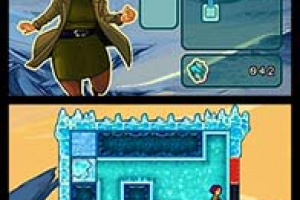 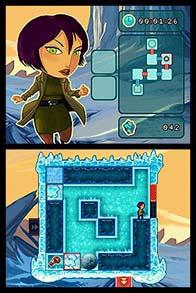 Your main power is the ability to rotate the rooms 90 degrees to the left or to the right. 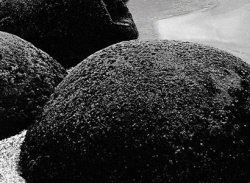 Mastering the law of gravity is essential to your success. 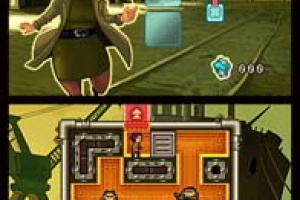 Everything and everyone in the room is subjected to gravity and falls when you turn the room. 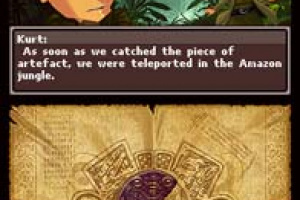 Watch your head! 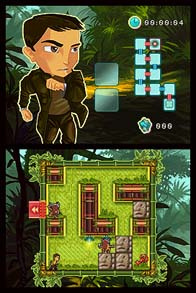 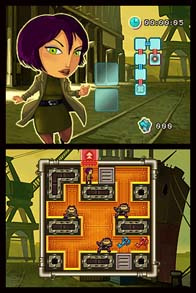 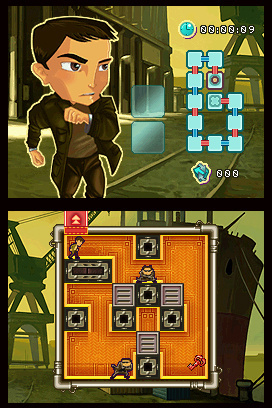 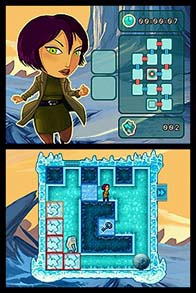 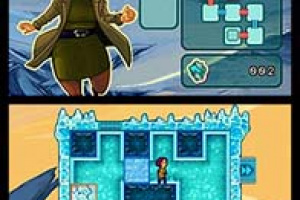 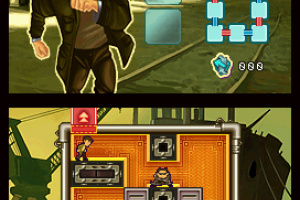 Featuring three worlds with nine levels of about 10 rooms each, the game promises a whole lot of brain-twisting fun on your Nintendo DSi system.